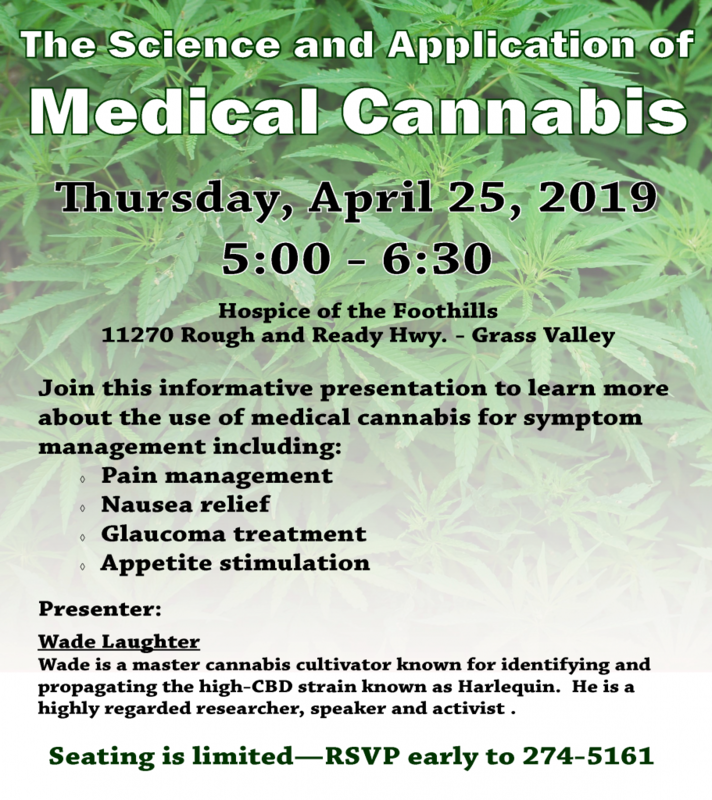 Join Hospice of the Foothills for a talk on the science and application of medical cannabis. Researcher, activist, and cultivator Wade Laughter will cover uses of medical cannabis. Learn how cannabis can impact symptoms like pain, nausea, glaucoma, and appetite loss. Seating is limited. RSVP to 530-274-5161. Click on the image above to open a PDF of the flyer. necessary repairs to stay safely in their own homes. The U.S. Department of Agriculture (USDA) is offering financial assistance to meet this community need. The USDA’s Home Repair Loan and Grant Program offers qualifying rural homeowners low-interest loans or grants to repair roofing, siding, flooring, insulation, electrical, and other health and safety hazards. The program provides grants of up to $7,500 for individuals aged 62 and over and loans of to $20,000 (with interest as low as 1%) for qualifying low-income homeowners of any age. In Nevada County, annual income limits are $38,350 for a household of one to four people and $50,650 for a household of five to eight people (see table below). To get your application started, contact Program Specialist Robert Canepa by phone at 530-217-6252 or by email at robert.canepa@usda.gov. 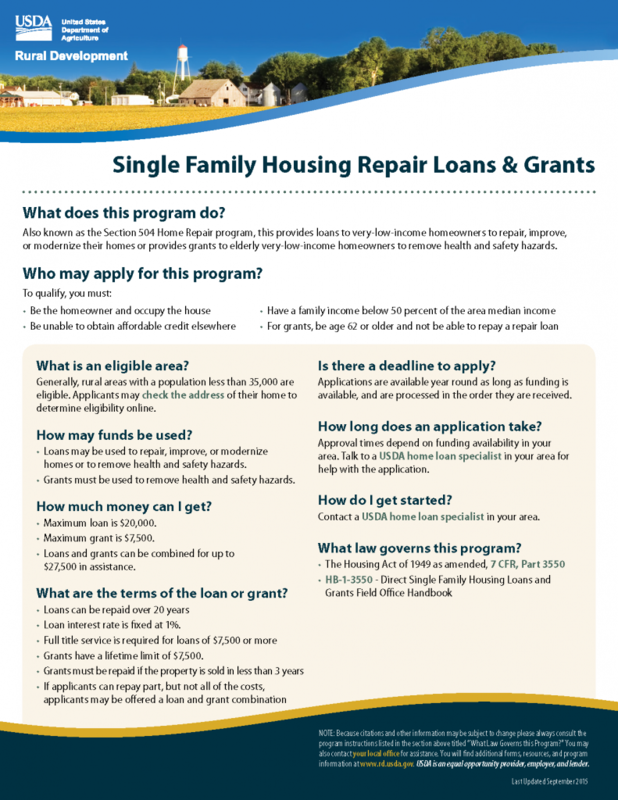 USDA Rural Development’s nearest service center is located at 11661 Blocker Drive, Suite 120 in Auburn.To learn more about the Home Repair Loan and Grant Program’s requirements, check out the USDA website or download the flyer for more information. In California, many people with disabilities and their families rely on a variety of public benefits provided by state and federal governments to make ends meet. They include Supplemental Security Income (SSI), MediCal, CalFresh, and other state health insurance programs. These programs provide critically important services to people with disabilities but often do not allow individuals to save more than a total of $2,000, or earn more than $680 a month. These restrictions are a disincentive for people with disabilities and their families to save for long-term needs, leaving them vulnerable to changes in health, living arrangements, unexpected emergencies, or to pay for the cost of care. The new CalABLE Program opens up life-improving opportunities for people with disabilities and their families. CalABLE allows individuals with disabilities to contribute to tax-free savings and investment accounts without losing their benefits. Eligible individuals can contribute $15,000 a year into an ABLE account and maintain benefits like Medi-Cal and CalFresh. Contributions to an ABLE account can be made by family, friends, or the beneficiary themselves. The account’s earnings are allowed to accumulate tax-free, and the withdrawals, provided they are applied to qualifying disability expenses, are tax-free. One of the largest benefits afforded by the ABLE Act is the ability to exclude certain assets from federal means-tested programs. As an example, in order for an individual to obtain Supplemental Security Income (SSI), the countable resources must be worth not more than $2,000 for an individual or $3,000 for a couple. Savings held in an ABLE account, up to a $100,000 limit, are not counted against the $2,000 limit on personal assets for individuals to qualify for SSI and other public benefits. In essence, the ABLE Act has increased the cap for countable assets from $2,000 to $100,000 for people with disabilities seeking eligibility for SSI. See the CalABLE fact sheet for more information or go to the CalABLE website to learn more about this important new program. 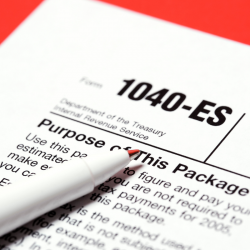 It’s time to start thinking about your TAXES. Once again the AARP TaxAide volunteers are gearing up to provide tax preparation services and electronic filing of both Federal and California tax returns. The program serves people of all ages with middle and low income and is provided to Nevada County residents at NO COST. Appointments will be available every Monday from 9:00 am to 3:00 pm, February 4th through April 8th. Reservations are required. For more information or to schedule your TaxAide appointment, call 211 (or 1-844-319-4119). The Nevada County Adult & Family Services Commission is seeking community input on the needs of people with very low income in Nevada County. The commission is holding two Community Forums to learn more about community needs related to the broad issues of poverty, unemployment, education, health, nutrition, housing, homelessness, crime, transportation, delinquency, obstacles to self-sufficiency, and economic opportunity. Individual community members and representatives of local organizations are invited to share their views and experiences. In Eastern Nevada County, the forum will be held on Thursday, December 6th from 1:00 to 3:00 pm at the Truckee Government Center, 10075 Levon Avenue. In Western Nevada County, the forum will be held on Friday, December 7th from 10:00 am to 12:00 pm at the Nevada County Government Center, 950 Maidu Avenue in Nevada City. Each speaker will be given five minutes to present. A sign-up sheet for speakers will be provided at the door. If you are unable to attend a Community Forum, you can still make your voice heard by completing a short survey online. There is a survey for individual community members and one for community organizations. If you would like a written form, contact Suzi Kochems by phone at 530-228-7811 or by email at suzi@silkconsultinggroup.com. The mission of the Adult & Family Services Commission is to represent the community to the Board of Supervisors on issues regarding health and human services and family interests of all residents of Nevada County. The information gathered at the upcoming Community Forums will contribute to the needs assessment process required as a part of the 2020/21 Community Action Plan (CAP). The CAP is part of the application process for ongoing Community Services Block Grant (CSBG) funding for supportive service programs. 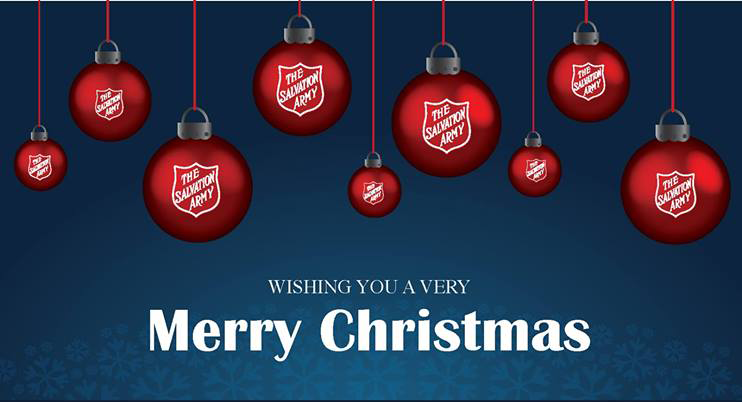 The Salvation Army is bringing holiday cheer again this year with their 2018 Christmas Assistance program. The Christmas Assistance program is for children, seniors, and people with disabilities with low income who need a little help for the holidays. Sign-ups are November 12th through 14th from 10:00 am to 3:00 pm at the Salvation Army office in Grass Valley. Those interested in signing up must bring proof of identity for all household members and proof of income. (See the flyer for more information on the types of ID and proof of income accepted). Most importantly, bring your wish list to let folks know what gifts will brighten your holiday season. Make sure to include clothing and shoe sizes if you’re requesting gifts for children. For more information, contact the Salvation Army at 530-274-3500. What to Bring: Proof of identity for ALL household members, proof of income, your wish list! Whether you’re looking for a place to gather, dinner to go, or a warm meal delivered to your door, several local businesses and organizations are offering free Thanksgiving feasts for Nevada County residents. 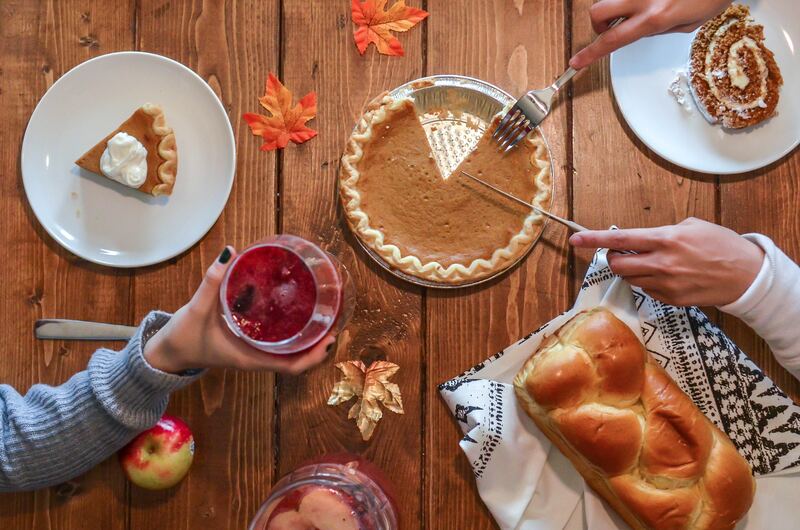 Here’s your guide to what’s available this Thanksgiving. Cost: Free for current IFM clients. (For information on becoming an IFM client, call 530-273-8132). Connecting Point is offering a free two day class for those who provide care for folks with dementia. The Confident Dementia Caregiver, taught by local gerontologist Renee Chevraux, will help caregivers feel comfortable and knowledgeable when assisting someone with dementia. Participants will learn about the causes of various types of dementia, appropriate tools for redirection, and how to work with common behaviors of those experiencing memory loss. The class will explore realistic approaches to repetitive, agitated, or combative behavior. The two day Confident Dementia Caregiver class will be held on November 7th and 8th from 1:00 to 4:00 pm at the Cedar Park Community Room on Sutton Way in Grass Valley. The class is free and open to the public. Register online or call Karen at 530-274-5601. 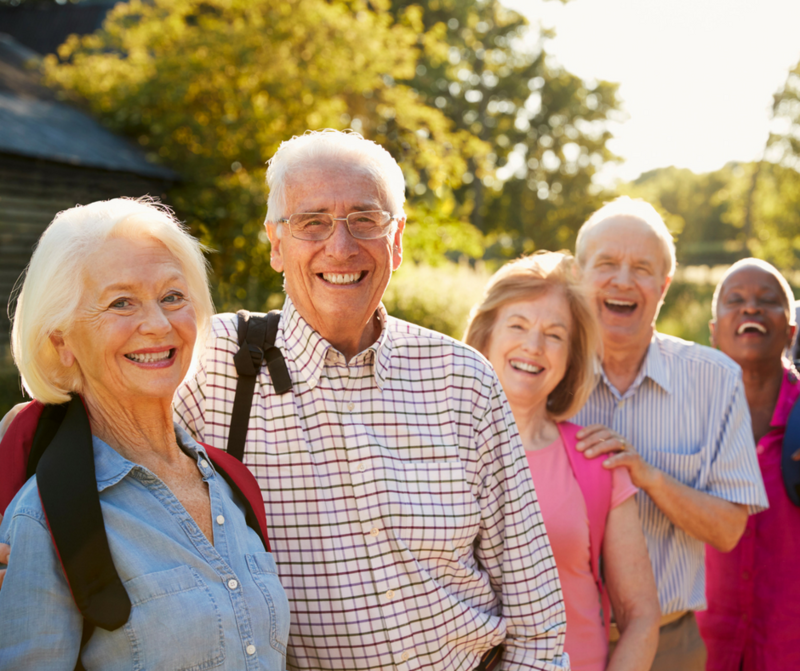 Do You Live In an Age-Friendly Community? AARP and the Agency on Aging Area 4 want your opinion. They are teaming up to ask folks what makes a community great for people of all ages. 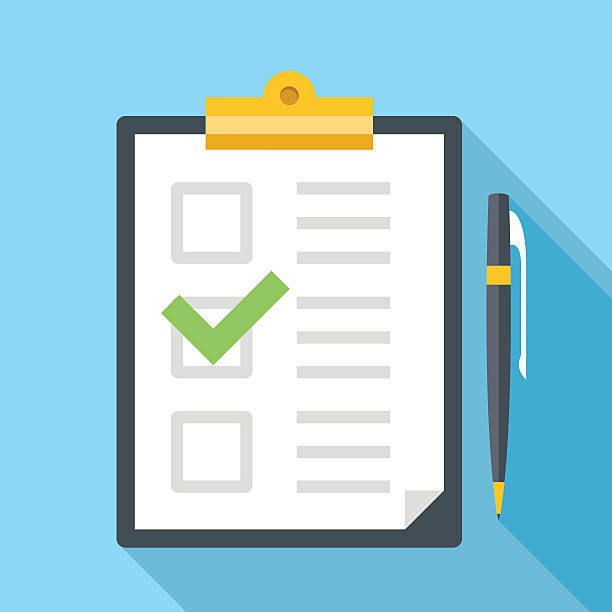 The Age-Friendly Community Survey is your chance to rate our community on a wide variety of topics, including housing, transportation, recreation, health & wellness, and employment. Take a few minutes to complete the survey here. Your responses are anonymous and will be used only to promote age-friendly communities for people of all ages. The Town of Truckee is now offering free bus service for riders of the Truckee TART Local bus route. The Truckee TART Local operates throughout the Town of Truckee, providing access to shopping, recreation, employment, and more. 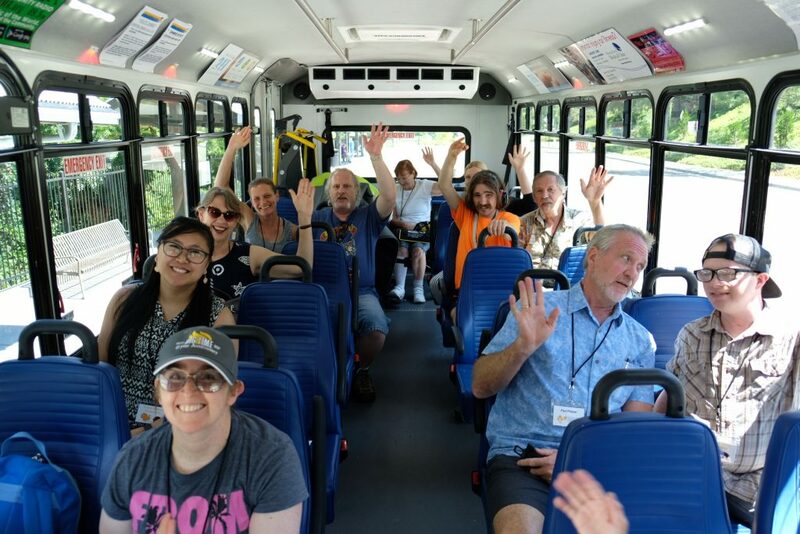 Riders can also use the Truckee TART to connect to Placer County’s TART service to extend their trip throughout the Tahoe region. Current hours of operations are Monday through Saturday between 9 am and 5 pm. Fixed Route services vary by season. For more information on routes and pick-up times, please visit the Tahoe Truckee Area Regional Transit website. Truckee TART Dial-a-Ride also provides free year-round bus service for ADA-certified passengers. To make your reservation, call 530-550-7451. For more information about your transportation options, give us a call at 2-1-1. 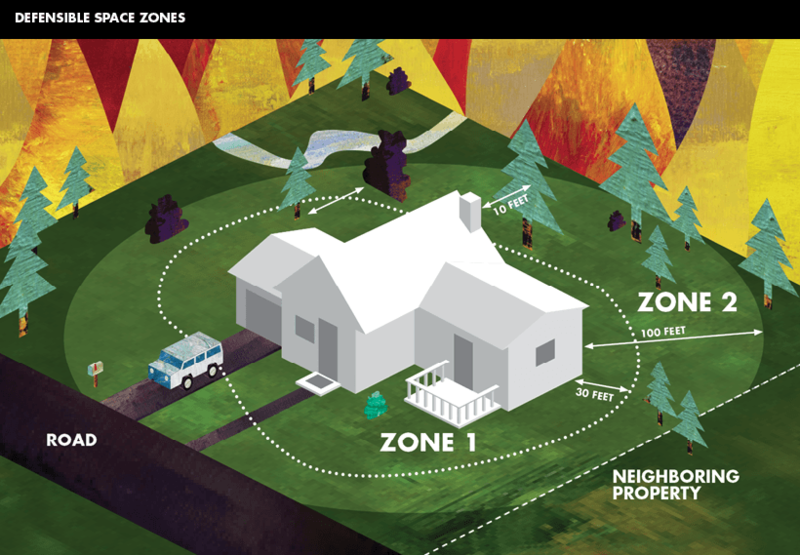 Creating defensible space around your home is one of the best ways to reduce the risk of property damage from fire. But do you know which vegetation can stay and which should go? Nevada County Office of Emergency Services (OES) is offering free Fire Safety Defensible Space Inspections. Fire inspectors assess fire safety hazards around your home and can advise you on the best way to create defensible space and harden your home against fire. Inspectors from Nevada County OES are available to perform fire inspections for any Nevada County resident. Requesting an inspection of your property or neighborhood is simple. Just fill out Nevada County’s Fire Inspection Request form on the County’s website. Many fire districts also perform fire inspections for residents within their district. Residents can find their designated fire district through Nevada County’s MyNeighborhood Maps. For more information on emergency preparedness and fire safety, take a look at the 18-19 Fire Season Guide, visit CalFire’s Ready for Wildfire website, find community resources from the Fire Safe Council of Nevada County, and don’t forget to sign yourself and your family up for CodeRED Emergency Alerts online or by calling 211 to sign up over the phone. Access to transportation gives you better access to the world. If you live near a bus stop, chances are you can make it to most of the places you need to go. Buses in Nevada County go to most local grocery stores. Many doctor’s offices and clinics are on bus routes. Libraries, banks, movie theatres, and parks are all accessible by bus. Buses are a great transportation option, but many of us don’t even know where to start. Riding the bus is easier than it might seem, especially when you know what to expect. Connecting Point’s new travel training program will help demystify the bus system and give you the tools you need to ride with confidence. The program is free and open to anyone interested in learning to ride. The travel training program is about getting you to YOUR destinations. Want to go to grocery shopping, meet a friend at a café, or get to an appointment? You’ll learn to find the best routes, time your trip, and recognize your stops to get you where you’re going on-time and hassle-free. Public transportation is for everyone. People of all ages and abilities ride the bus; sometimes we just need the right tools or knowledge to get where we need to go. We’ll work together to find the tools, technology, and techniques to make the bus system work for you. It’s always nice to have a partner when you’re learning something new. Our travel trainer will be with you every step of the way. You’ll plan together, ride together, and review your trip together. We’re in this together until you feel confident to ride alone. Getting started is easy. Contact Travel Trainer Daniela Fernandez by email at danielaf@connectingpoint.org or by phone at 530-274-5601 to learn more about the program and schedule your first appointment. We’re excited to help you get on the move! The Falls Prevention Coalition is hosting their 11th annual community event on Wednesday, September 12th. 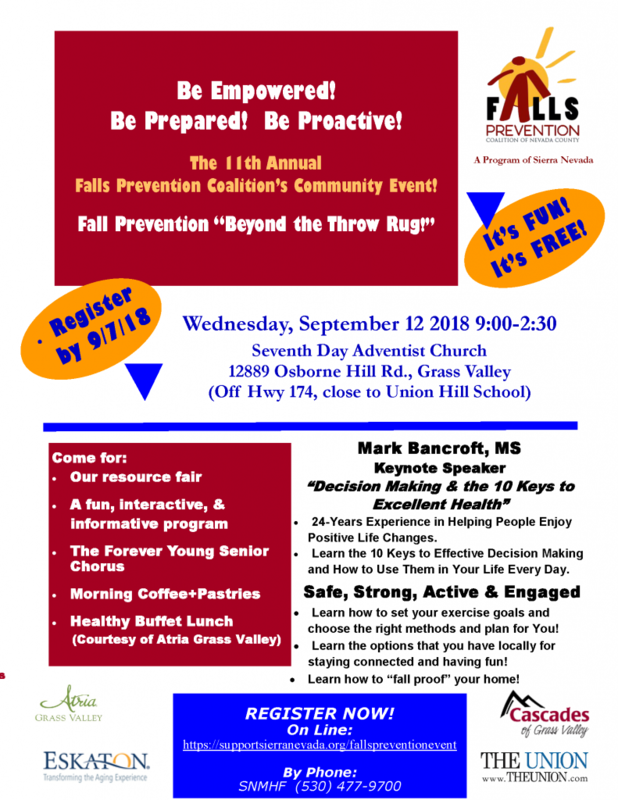 The theme this year is Fall Prevention “Beyond the Throw Rug,” with presentations focused on decision-making, planning, and resources to help you stay safe, strong, active, and engaged. The agenda for the day includes morning coffee and pastries, a resource fair with local organizations, and a buffet lunch. Music will be provided by the Forever Young Senior Chorus. This fun, free event will be held at the Seventh Day Adventist Church from 9:00 am to 2:30 pm. Register by September 7th by calling 530-477-9700. Cost: Free! Call 530-477-9700 to register. Family caregivers need all the support they can get. The seven-week “Yes I Can!” series, sponsored by the Sierra Nevada Memorial Hospital Foundation, helps caregivers build the skills they need to care for themselves and their loved ones. Participants will learn about the fundamentals of self-care, communication, personal care and nutrition, community resources, body mechanics and falls prevention, end of life care, and legal and financial issues. 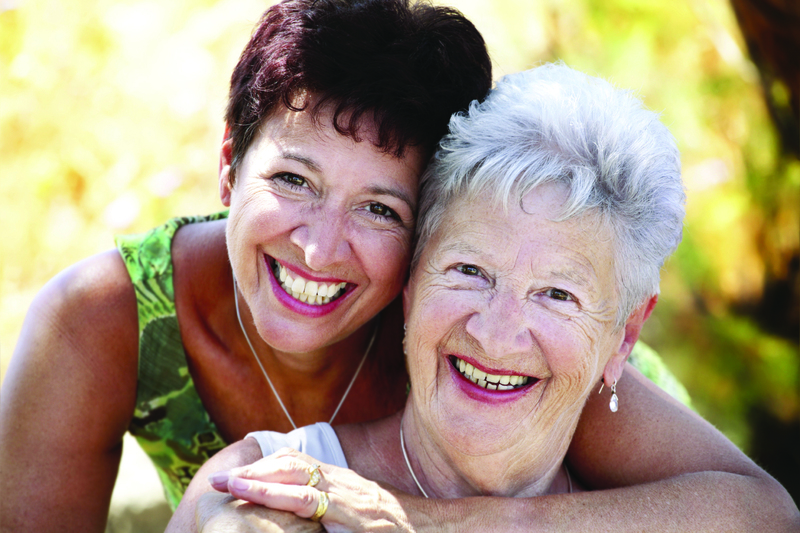 By the end of the course participants will be confident, empowered caregivers. Click on the image above to open a PDF of the full class schedule. To register, leave a message at Del Oro Caregiver Resource Center at 1-800-635-0220. If care is needed for your loved one during class, please indicate this when registering. For more information, contact Annie Mikal at 530-264-5046 or amikalheine@gmail.com. Nobody chooses to have a long-term chronic illness. What we can choose, however, is how we manage that illness. Living Well with a Chronic Condition is an innovative, interactive six-week workshop that will help you take charge of your health, improve your quality of life, and lower your health care costs. Hosted by Connecting Point, the free workshop is geared specifically towards people with chronic conditions such as heart disease, arthritis, diabetes, depression, asthma, bronchitis, or emphysema. Participants will work together to share experiences, make action plans, and problem-solve alongside others with chronic conditions. Learn techniques for dealing with frustration, fatigue, pain, and isolation; build your strength and endurance; and learn how to effectively communicate with health professionals. Classes are Tuesdays, September 4th through October 9th from 1:00 to 3:30 pm at the Glenbrook Community Room at 265 Sutton Way in Grass Valley. The workshop is free and open to the public. Register online or call Karen at 530-274-5601. This class is presented in partnership with Dignity Health- Sierra Nevada Memorial Hospital. When: Tuesdays, September 4-October 9, 1:00-3:30 pm. Where: Glenbrook Community Room, 265 Sutton Way, Grass Valley. By bus: Take Gold Country Stage Route 4 to the Glenbrook stop. Live theatre is magical. There is nothing quite like that first moment of a play, when the lights go down and the cool, dark theatre is transformed into a new world—a place with its own people, places, and logic. Local theatre company Sierra Stages wants everyone in our community to experience this magic. 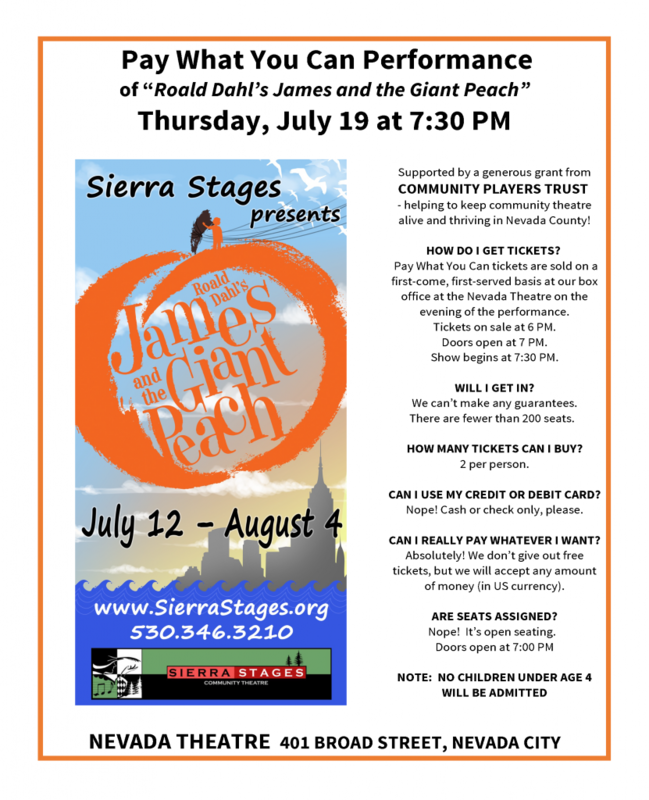 On Thursday, July 19th, Sierra Stages is hosting a Pay What You Can Performance of their summer musical “Roald Dahl’s James and the Giant Peach” at the Nevada Theatre. Based on the classic children’s book, the show is a fun, family-friendly musical for kids 4 years and older (and stars 211’s very own Micah Cone! ).Tickets are first-come, first-served and go on sale at 6:00 pm at the Nevada Theatre box office. Doors open at 7:00 pm and the show starts at 7:30. Tickets truly are “pay what you can.” Sierra Stages will accept any amount of money, as long as it’s in U.S. currency. Cash or check only (no credit or debit cards will be accepted). Limit two tickets per person. The Pay What You Can Performance is supported by a generous grant from Community Players Trust—helping to keep community theatre alive and thriving inJames PWYC Performance Flyer Nevada County—and is part of Sierra Stages’ commitment to making sure that theater remains open and accessible to every member of our community. For more information, call 530-346-3210 or check out the Sierra Stages website. When: Thursday, July 19th at 7:30 pm. Tickets on sale at 6:00 pm. This is Anita Wald-Tuttle. In addition to being a member of our Governing Board, she is also the very first recipient of Gold Country Stage’s Golden Ticket. All Nevada County residents age 80 years and older are eligible for this FREE lifetime pass. Pass holders receive unlimited free rides on all Gold Country Stages routes. 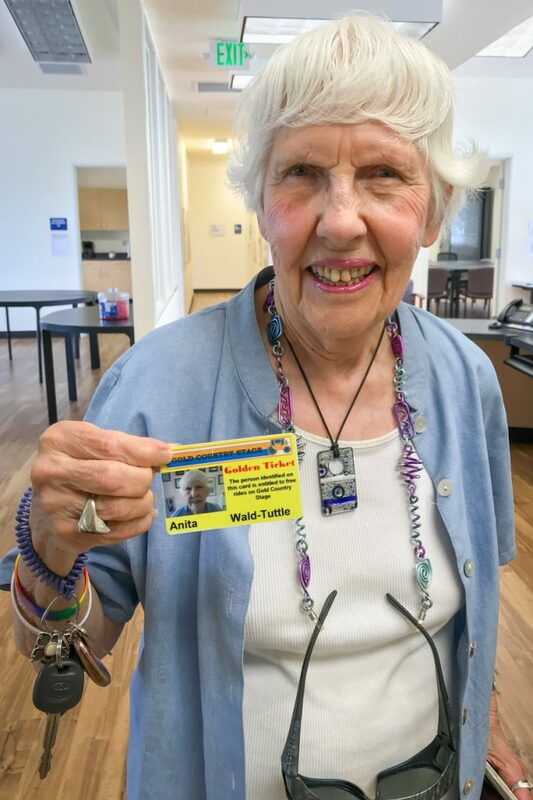 The Golden Ticket pass is available for all Nevada County seniors with proof of age (via a valid California ID card or driver’s license). The Golden Ticket program begins June 1st. Passes will be available at the Tinloy Transit Center the first two business days of each month and at the Transit Services office at 13081 John Bauer Avenue in Grass Valley. For more information, contact 211 Connecting Point by dialing 2-1-1 (or 1-877-847-0499). We made this story into an eBook, click below to see! If you’ve ever had a long recovery after a medical procedure, you know just how boring life can become when you’re not able to leave the house. After a few days, you’ve read all the magazines, the TV shows blur together, and your regular internet haunts seem stale. You long for contact from the outside world. For folks with chronic health conditions or other circumstances that prevent them from leaving their home, this boredom can quickly turn to social isolation. Many people in Nevada County, particularly seniors, go days or weeks without seeing another person and have few options for intellectual stimulation. If you or someone you know is in this situation, it might be time to get a Book Buddy. The Book Buddy program is a service of the Nevada County Community Library. 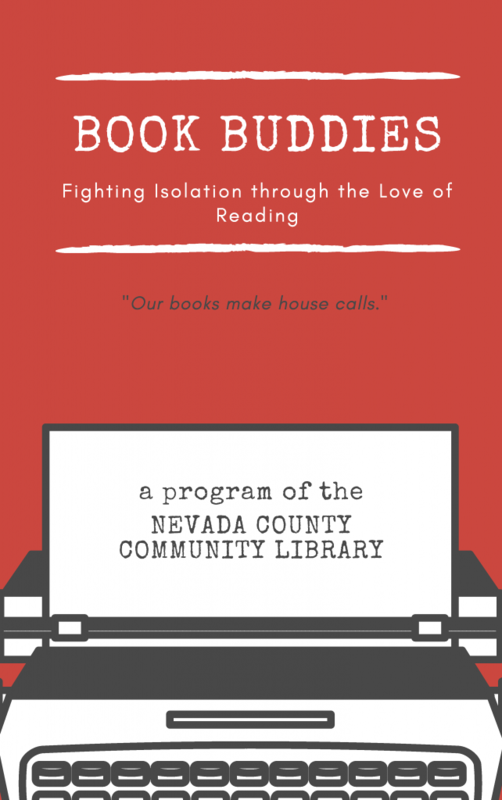 The program connects folks in Western Nevada County who are unable to get to the library with volunteer “book buddies” who bring the library to them. Book buddies bring not just books, but also CDs, DVDs, audiobooks, and even reference materials. All items are checked out on the library patron’s card and delivered to their home, free of charge. There are no late fees for Book Buddy patrons. Book buddies are matched with library patrons based on their schedules, location, and interests. Each patron is assigned their own personal book buddy. According to program coordinator Judith Bell, these are relationships built on a love of books. The Book Buddy program is a personalized service, Bell said. “The patron guides it.” Patrons can request specific titles, books by favorite authors, or let their book buddy choose what to bring. Bell said she’s often surfed the stacks looking for the perfect book for her patron. The Book Buddy program is designed to serve those who have a disability, chronic illness, or injury that prevents them from getting to the library for at least six months. There is no age restriction. The service is available for folks living in their own homes or in a skilled nursing facility. Because the program is individualized based on each patron’s preferences, the process starts with a meeting in the patron’s home. Book Buddy Coordinator Judith Bell interviews each patron to get a sense of what they like and don’t like, learn about their favorite genres and authors, and better understand their media preferences (like books on tape or large print materials). This helps Judith match each patron with their perfect book buddy. The result is often a relationship that lasts for years. If the Book Buddy program sounds like a good fit for you or someone you know, call Kathy Miller at 530-265-1407 to start the process. Referrals can be made by family members, friends, social workers, or anyone who knows someone who can’t make it to the library. The Book Buddy program is always looking for volunteers who love books and want to connect with others in the community. Book buddies provide a vital link to the outside world. Because they are often the only person a patron might see, volunteers should be upbeat, enthusiastic, and patient. Like the program’s patrons, Book Buddy volunteers are interviewed about their interests and preferences. Book buddies are expected to give approximately four to six hours of their time each month and must provide their own transportation. To learn more about becoming a book buddy, contact Kathy Miller at 530-265-1407. The Book Buddy program improves the quality of life of folks in our community. Whether you are a patron of the program or a volunteer, this unique service can help you connect to a world beyond your own—just what a library should do. 1) You can purchase passes at the Transit Services office at 13081 John Bauer Avenue, Grass Valley. Monday-Friday 8am-5pm. This is a Route 3, Loma Rica stop if you’re riding the bus. 2) Passes will now also be available at the Tinloy Transit Center in downtown Grass Valley on the first two weekdays of each month, 8am-5pm. Also available at the above locations are Discount Fare ID Cards. Gold Country Stage is asking that all discount fare users get a new ID Card. These cards are available to youth 17 years and younger, seniors 65 and older, and persons with disabilities. Be sure to bring proper eligibility supporting documents. If you’re unsure which documents to bring, check out the list on the application. Caring for a parent, child, or close friend with a significant disability or illness is a challenge many of us will face someday. But our willingness to help does not always mean we have all the right tools or information to do this hard work. 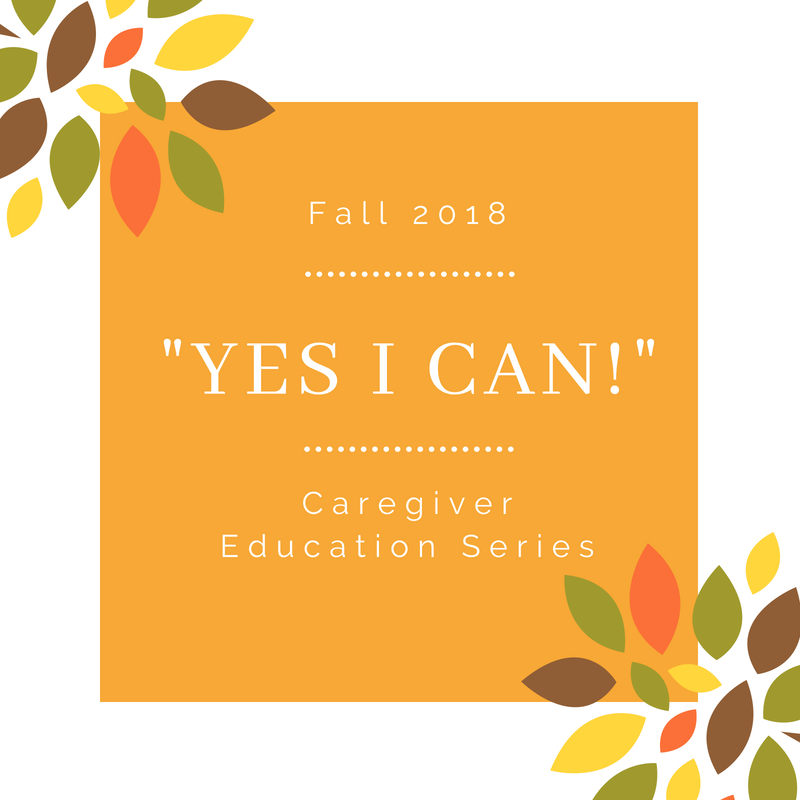 The “Yes I Can!” series, sponsored by the Sierra Nevada Memorial Hospital Foundation, helps caregivers build the skills they need to care for themselves and their loved ones. 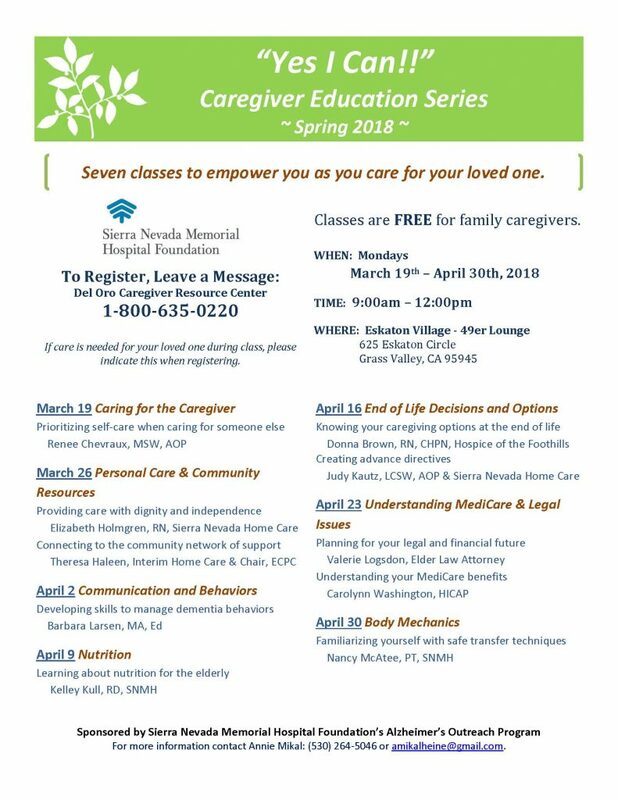 The seven-week series, which started March 19th, provides caregivers with fundamentals for self-care, communication, personal care and nutrition, community resources, body mechanics and falls prevention, end of life care, and legal and financial issues. By the end of the course participants will be confident, empowered caregivers. 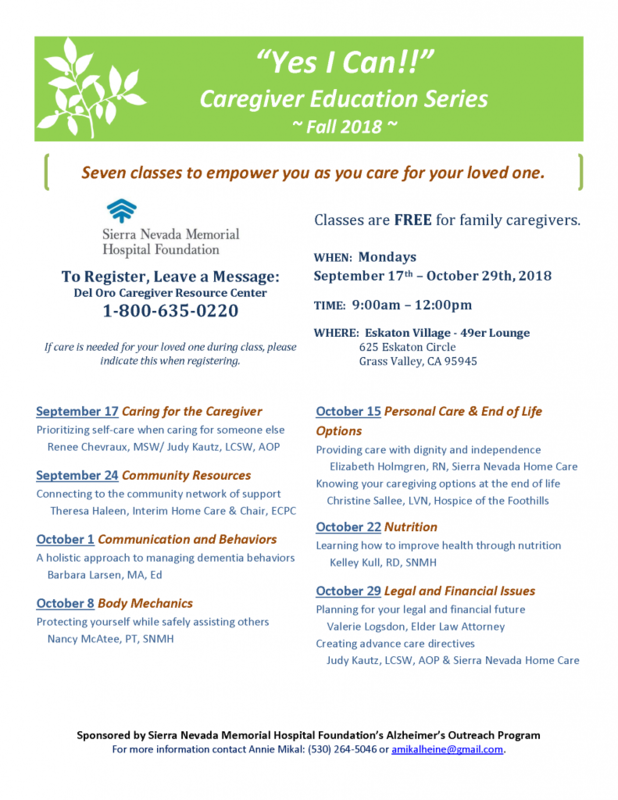 There is still room available in the class and six more weeks of tools, resources, and support for family caregivers. Click on the above image to open a PDF of the flyer. To register, please call Del Oro Caregiver Resource Center at 1-800-635-0220. If care is needed for your loved one during class, please indicate this when registering.